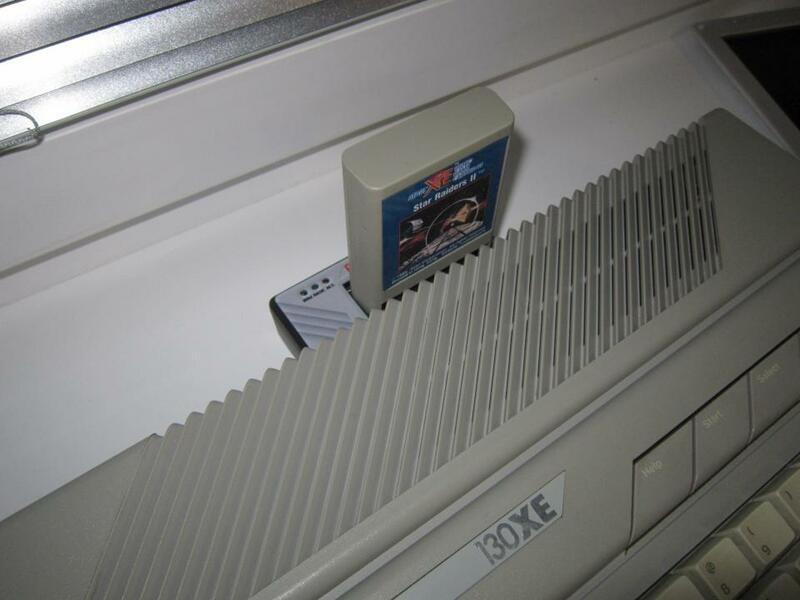 RAM 320XE/576 - is a plug&play RAM card for ATARI 800XE, 130XE, and later 65XE (must be equipped with ECI port) that allows you to easily upgrade your computer up to 576kB of total RAM. No soldering or even opening of the Atari is required! The card supports several RAM configurations: 130XE, 320kB RAMBO, 320kB COMPY SHOP and finally 576kB RAMBO. The 130XE and 320kB COMPY SHOP modes fully support separate CPU/Antic banking. The PCB is profesionally made with a gold plated contacts. 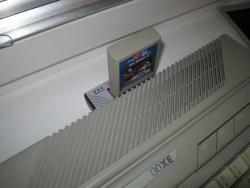 All cards have a cartridge pass-through connector. Optionally, the ECI port pass-through connector can be added by me or any time later to allow another ECI device daisychaining. However, the enclosure have to be modified or removed depending of the proportions of the next device in the chain. RAM320XE/576 can be optionally equipped with a stereo four channel DAC, mapped to base address $280. You can use it with a Covox enabled programs like Neotracker, Protracker, Inertia Player, some music demos, etc. These programs have to be set to the $280 address in order to hear the sound. The COVOX circuity can NOT be added later, because of the different main chip. I'm accepting Paypal only. The prices are in CZK (Czech Crowns) to simplify paperwork on my side. Don't panic! The Paypal will transfer and convert the correct amount from your native currency automatically. Currently the 100CZK is roughly 4.55USD or 3.6 EUR. For bigger orders ask me. Edited by ctirad, Tue Dec 16, 2014 4:06 PM. In enclosure 1200 CZK + 150 shipping. Edited by Wally1, Tue Dec 16, 2014 5:04 PM. Will this be done via PM soon. or Use existing email for PayPal ..
Will there be a separate pre-order for the XL version ?!? How much shipped to Norway? Edited by olavese@online.no, Tue Dec 16, 2014 5:23 PM. Definitely, but It is not finished, yet. 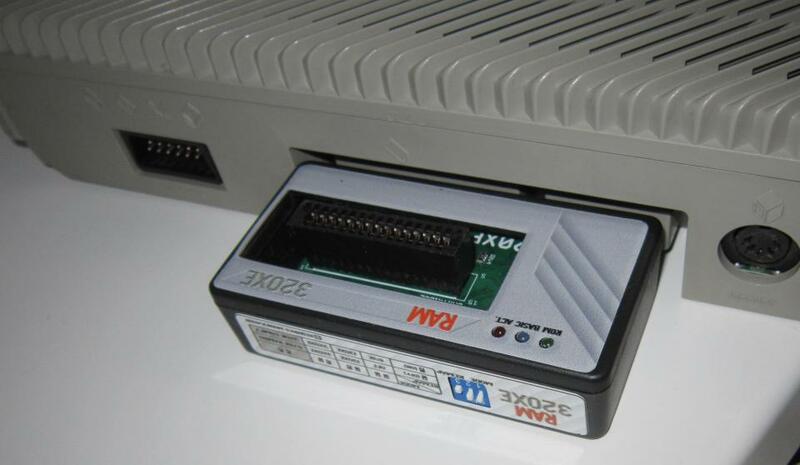 Does your 65XE have a ECI port? Send me your order via private message and I'll send you address for the payment. one with covox + shipping.. I'ld like to order two. Does it matter for which XE I want to use them? All my XE's (not counting the XEGSs) do have the ECI connector. Not sure about the case yet, but "+ECI connector" and "+Covox" for sure. I guess "ECI connector" means "no sticker on the top of the case"? What email address do I tell paypal it should send the money to? Edited by Mathy, Tue Dec 16, 2014 6:50 PM. How long do you anticipate having these? I am interested in one with covox and passthrough. but it's that time of year where money is tight. I would like one enclosed unit with Covox. does the eci pass thru exit from the rear so a black box can be connected? Now all we need is a eeprom or flash OS with several OS in them to go with this to give us a nice and minimally cluttered (inside) Atari. I would like to order 5 complete built expansions with ECI pass through. If that is too much you can bring back my order to your maximum accepted amount. Edited by ProWizard, Wed Dec 17, 2014 7:22 AM. Sent PM on enclosed unit payment info - awaiting response.